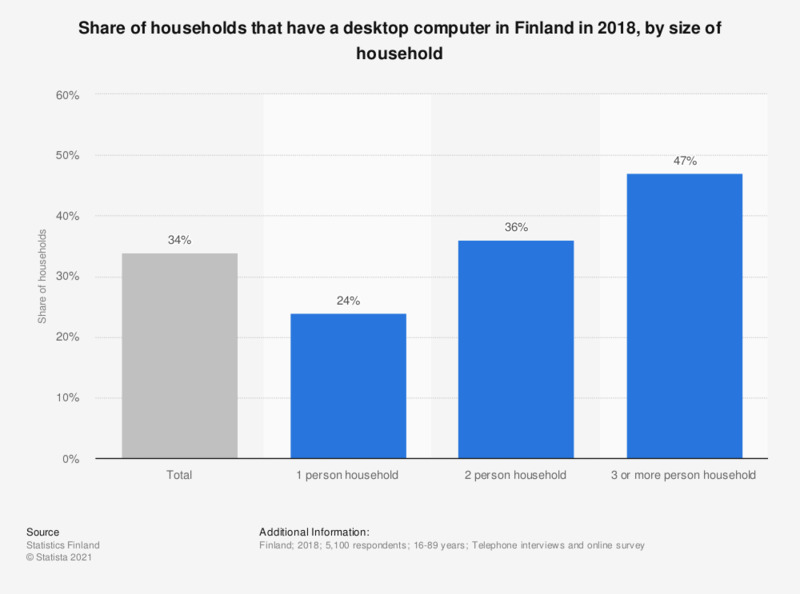 This statistic shows the share of households that had a desktop computer in Finland in 2018, by size of household. Desktop computers were the least common in one person households with a share of 24 percent. The share of all households that had a desktop computer was 34 percent in Finland in 2016.